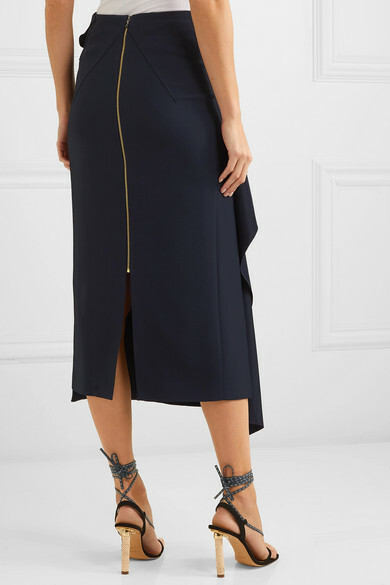 Roland Mouret's Spring '19 collection experiments with draping and fluidity - a new route for the designer, but no less elegant. 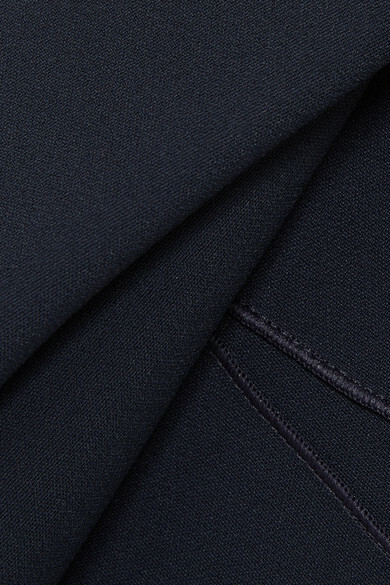 This 'Kelley' skirt is cut from mid-weight navy crepe and sits high on the waist. 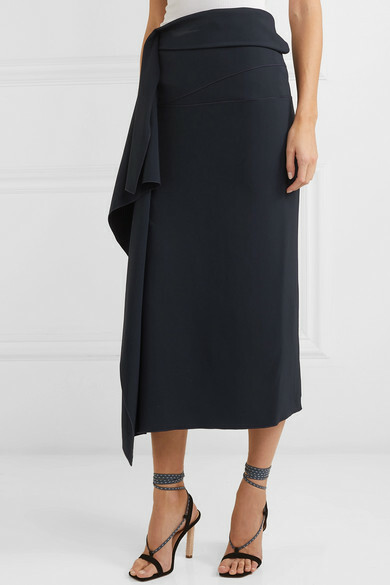 It has cascading ruffles along the front and a side slit. Wear yours with a crisp white shirt or printed blouse and sandals. 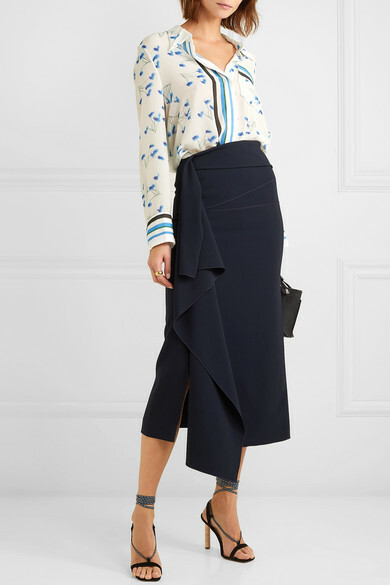 Shown here with: Roland Mouret Shirt, Loewe Shoulder bag, Jacquemus Sandals, Laura Lombardi Ring.